Rising Tide helps physically, emotionally, and learning disabled children improve their quality of life by working with horses. Two Martha’s Vineyard nonprofits that focus on connecting people with horses announced a merger this week. 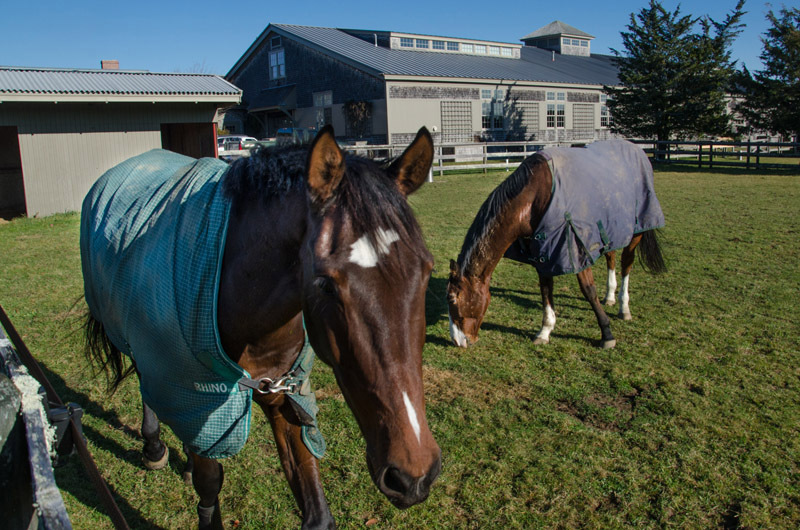 Rising Tide Therapeutic Equestrian Center, founded in 2007, will join forces with the recently established Martha’s Vineyard Community Horse Center. Both organizations are located in West Tisbury. The combined program will go forward under the community horse center’s name at the center’s facility on Misty Meadows Lane. The mission of the community horse center is to build leadership, self esteem and personal awareness through interaction with horses. 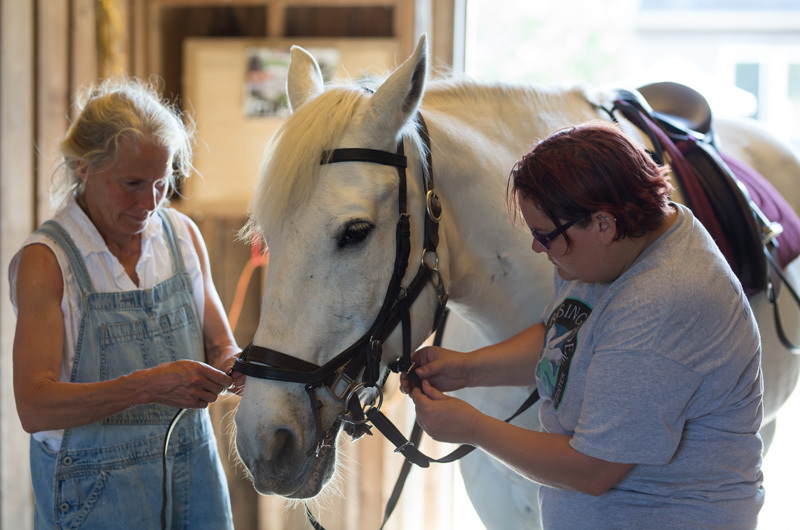 Community horse center executive director Sarah McKay said Rising Tide therapeutic riding programs began at the center even before the merger was finalized. Ms. McKay added she is eager to expand the Rising Tide programs, and planning is already underway. Rising Tide board president Susan Fieldsmith said the therapeutic riding program will be able to take advantage of the horse center’s larger facilities. Conceived in 2015, and organized with a full program of equine activities a year later, the community horse center operates at the former Misty Meadows Farm. The residence and 12 stall barn with indoor and outdoor riding rings was a gift to the community from Island residents Jerry and Carol Kenney. The Martha’s Vineyard Community Horse Center will soon become Misty Meadows Equine Learning Center. Rising Tide Therapeutic Equestrian Center has two annual benefits coming up.